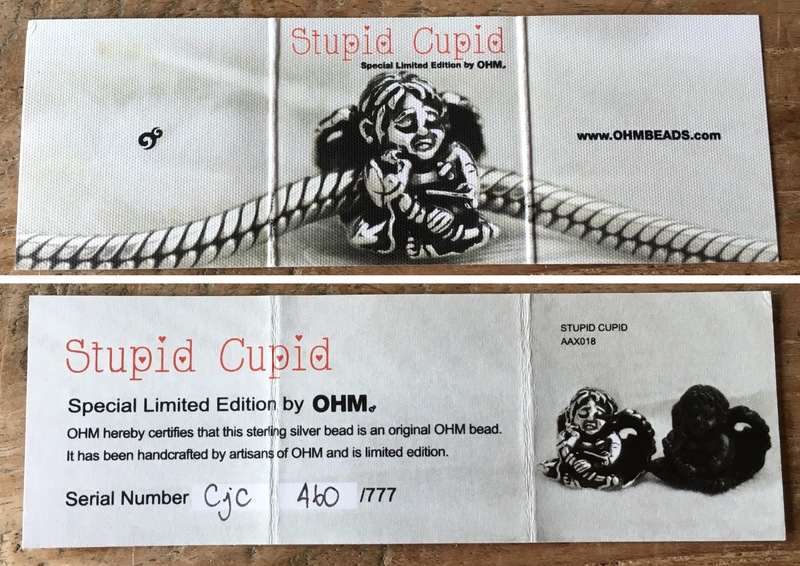 Ohm beads released in cooperation with and exclusive for Joseph Welch jewellers Stupid Cupid! There are two versions, a silver and a dirty one. Mine arrived this week, a much needed ray of sunshine in those dull and dark days after the cosy and bright Christmas time. 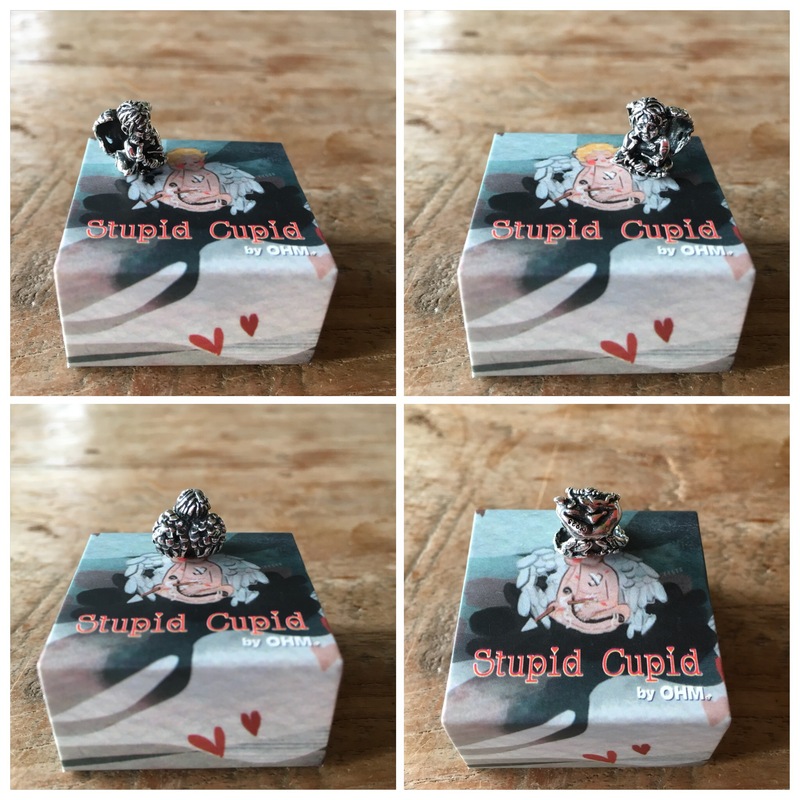 It is a sad looking little cupid, with his bow and broken arrow and a bandaid on his heart. Sometimes you can get hurt when you open up and end up with a broken heart. But isn’t it better to have loved and lost then not have loved at all? Only 777 are made, 555 silver and 222 dirty versions. Mine is no. 460. 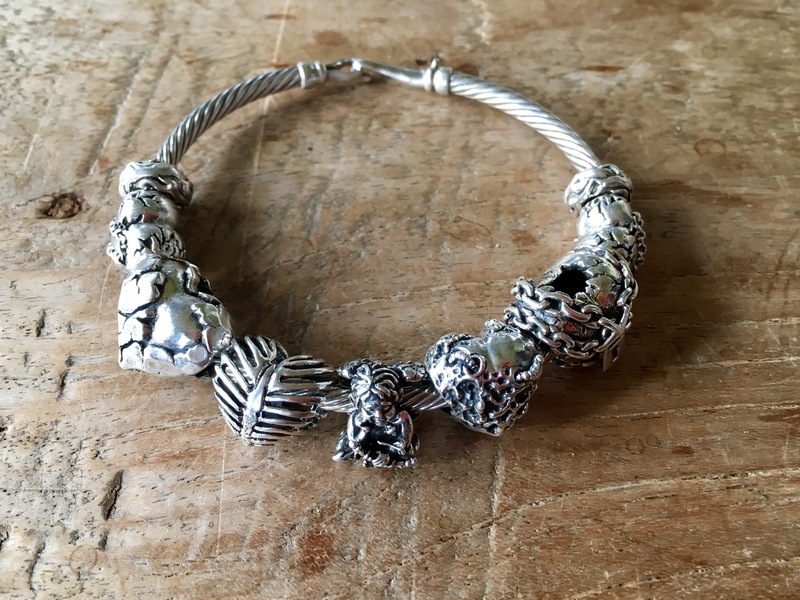 The bead comes with a certificate and a code that is engraved in the bead. The certificate has the corresponding code and number. 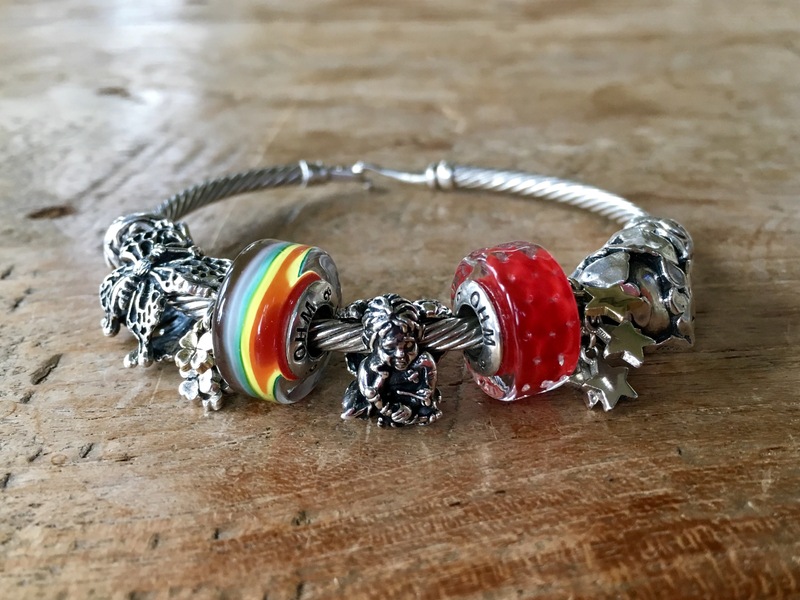 There is so much detail on this bead! His sad little face, cute hands holding his bow and the wings are so beautiful! I am once again blown away by the craftsmanship needed to make these tiny works of art! 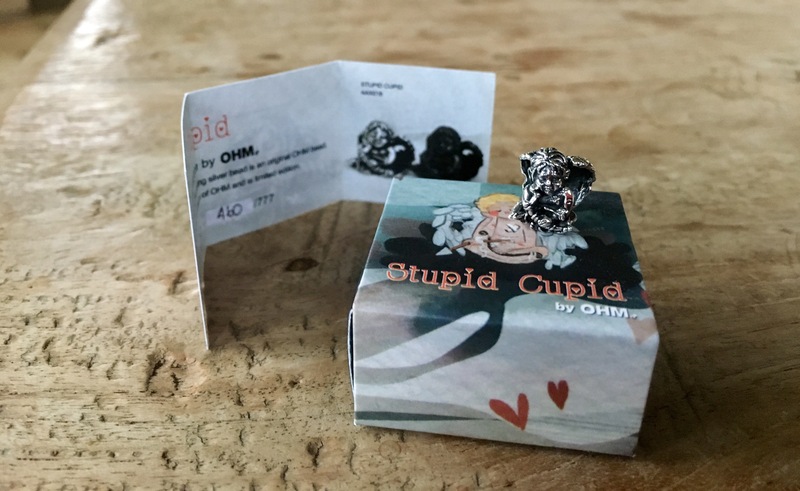 The bead comes in a beautiful box, the artwork is by Andrea Boatta. The first bangle called “OMG it Hurts” I made right away. 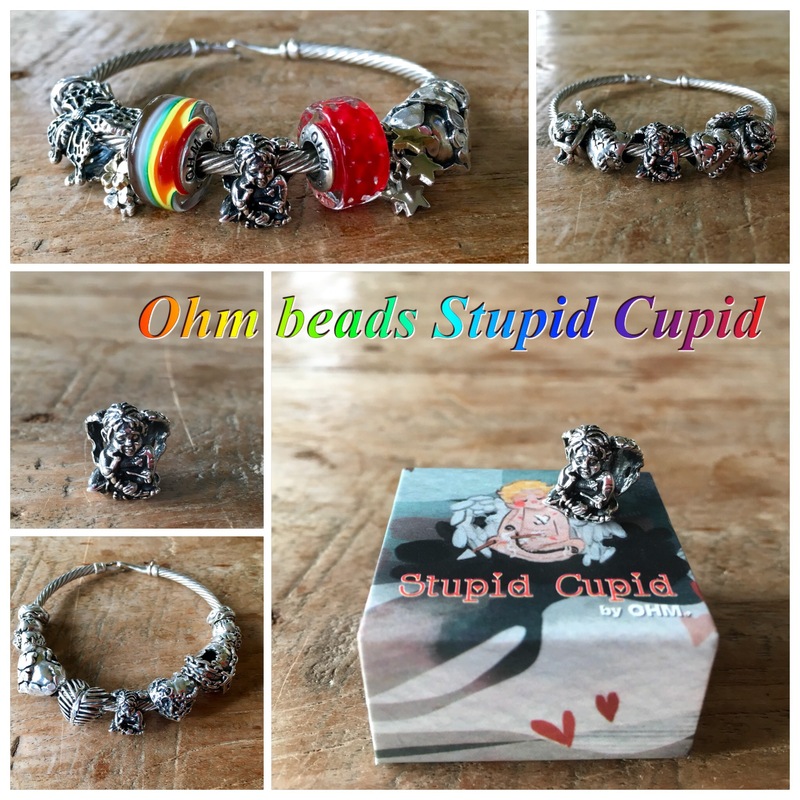 With the two OhmMyGod beads (Special Edition 2015/2017) and two Love Hurts (LE 2014). 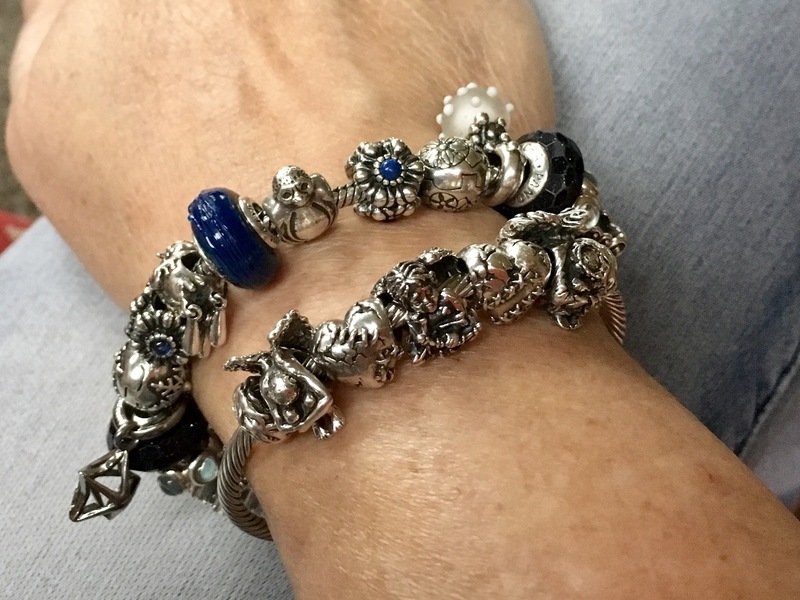 Stacked with my Winter Blues bracelet. 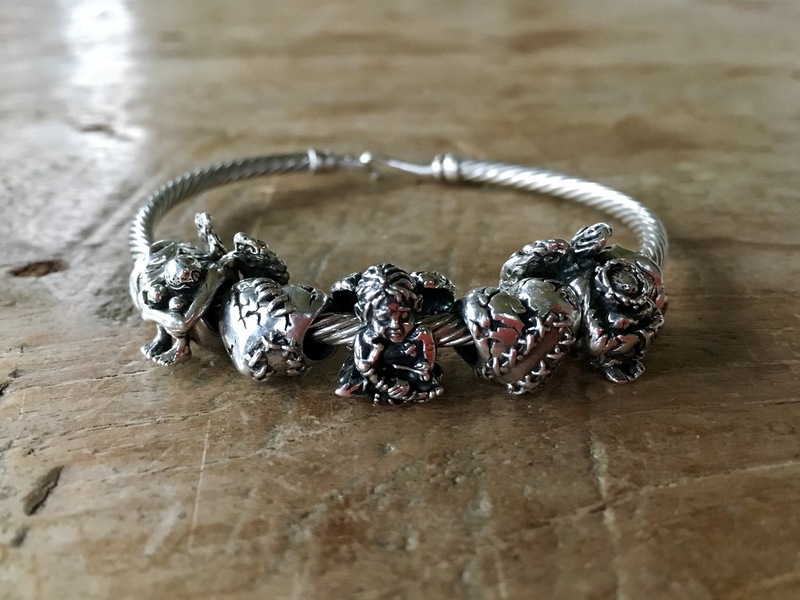 Cupid is about love, so I made this bangle “Love’s not a Feast”. With two Love Hurts, Rotten Heart, Love Cage ( BOTM February 2016), two crystals and two July spinners. 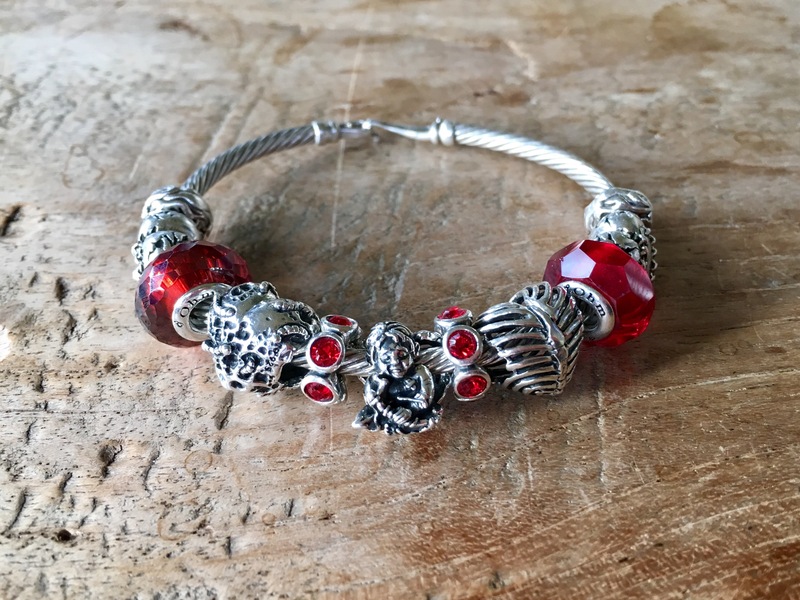 “Lots of Heartaches”, a bangle with two Love Hurts, Heart of Stone (BOTM June 2017), Love Cage, Rotten Heart and Open Your Heart (special edition 2015). Maybe this will cheer him up a little, I added some colour to this bangle “Love and Summer Gone”. With Butterflies, Lucky Moves (BOTM March 2016), Rainbowed (LE 2017), Strawberry (LE 2017), Lucky Stars (Special Edition 2017) and Heart of Stone. 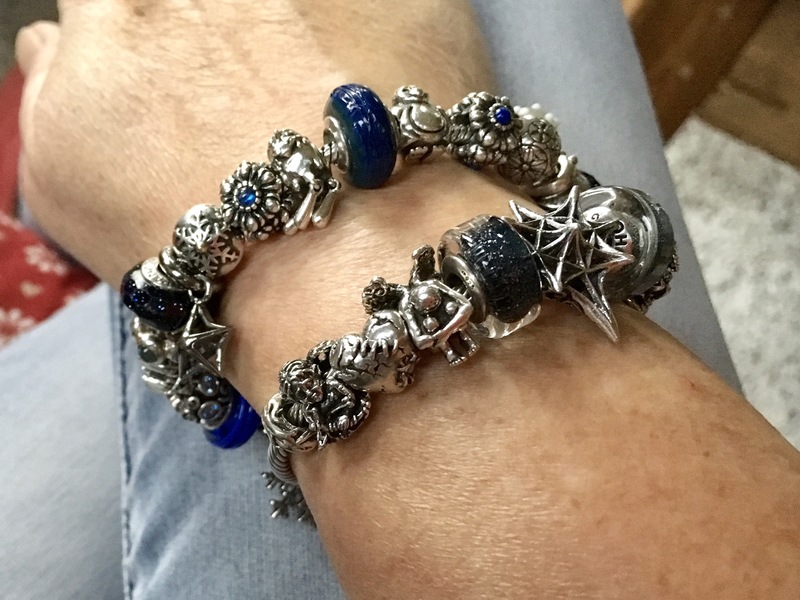 And I have been wearing him on my Silent Night bangle. I could not take that one apart yet, I loved it too much! He sits so nice next to OhmMyGod! 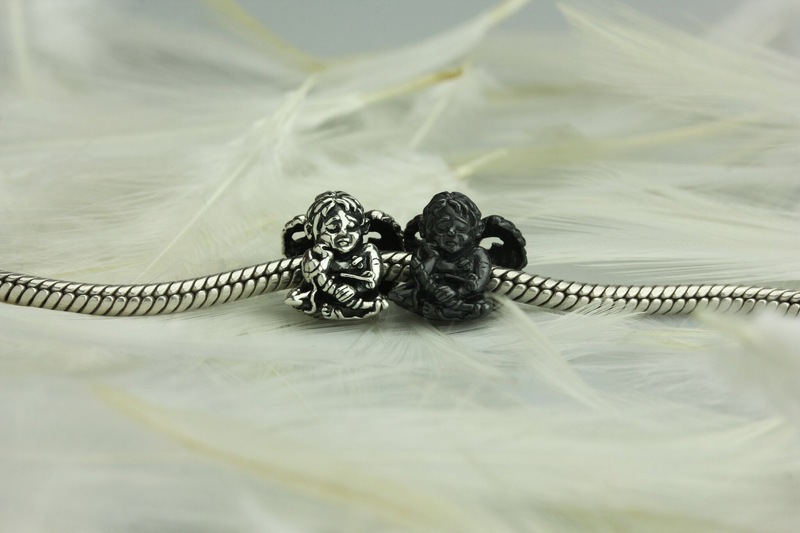 This little Cupid is so cute and after an afternoon of beadplay I hope he feels better, I sure do!